Dr. Dorothy Maver is President of the National Peace Academy, bringing a focus on peacebuilding and peacelearning to the USA. Her background as an educator and peacebuilder includes teaching and coaching at the high school and university levels, developing and facilitating courses and workshops with a focus on the application of spiritual principles in life, creating a culture of peace, community organizing, and designing experiences for community members to plan and implement their ideas for change. She also serves as the Executive Director for River Phoenix Center for Peacebuilding. Dot has served with Polaris Center, Denmark as International Faculty and USA/Australia Teacher Trainer. She assisted with the development of curriculum and the program for Transformational Kinesiology Teacher Certification, and taught in the USA, Germany, Denmark, and Australia. She was adjunct faculty at Norwich University, Vermont, the oldest private military college in USA where she developed and taught two courses in the Peace Corps and Service Leadership Department: Third World Perspectives, designed to provide undergraduate students with an understanding and appreciation of the issues of intercultural interaction, and World Community, raising awareness of diverse perspectives in the world community and cultures. At the Graduate Institute, CT, USA she developed an intensive titled: Shifting from a Culture of Violence to a Culture of Peace: a shared responsibility, shared leadership model, for master degree students who were strategizing their intentions and developing projects to transform their groups, organizations and communities. 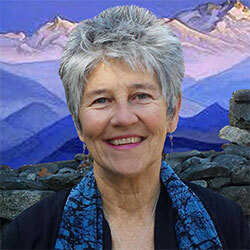 Dot has designed and co-facilitated seminars and courses in the USA, UK, Australia, Denmark, USSR, New Zealand, Germany and Canada with a focus on philosophy and group work based on spiritual education, and she co-developed and co-taught a course on Inclusive Coalition Building at Woodbury College in Vermont, USA. Dot’s early education experience was in New Jersey at the High School level teaching Health, Physical Education and Driver Education, and Coaching varsity softball, volleyball, bowling and field hockey. She also served as Adjunct Faculty at Kean College of New Jersey where she was a supervisor of student teachers and junior field experiences and taught education classes for physical education majors. In her work as a community organizer and peacebuilder, Dot’s keynote is inspiring cooperation on behalf of the common good. Utilizing a shared responsibility and shared leadership model (SR/SL) developed over thirty years, she brings together individuals and groups around a common purpose while creating a work environment that demonstrates right relationship in a culture of peace. Over the past two years, as part of the core team creating a National Peace Academy, Dot played a leadership role in identifying the shared purpose, bringing together a multi-stakeholder group for a visioning summit and, one year later, a design summit. Presently Dot serves as Director of the National Peace Academy as the team strives to embody and reflect the principles and processes of peace, always working from purpose, in the spirit of cooperation, making decisions with an eye to the greater good, with a focus on right relationship. Dot is also a founder of, and member of the Leadership Council for, the Global Alliance for Ministries and Departments of Peace, a movement striving to create infrastructures of peace, including a call for National Peace Academies. Dot served as Executive Director of The Peace Alliance, building a grassroots lobbying effort in fifty states for the US Department of Peace Campaign while building a culture of peace within the organization and movement, utilizing her SR/SL model. Prior to that she served as National Campaign Manager gathering diverse constituents from all over the country to work together around their individual and common interests. To read more about Dr. Maver, visit her personal website.